Eschew the tourist crowds and head to Bellevue Beach and The Archipelago Trail. Get in touch with nature at Tulliniemi Nature Path and Teijo national park. 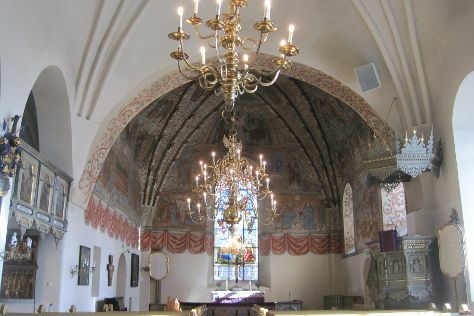 Get out of town with these interesting Turku side-trips: Rauma (The Church of the Holy Cross & Old Rauma) and Gunnarstrand (in Hanko). The adventure continues: step into the grandiose world of Turku Castle, deepen your understanding at Turku Cathedral, explore the ancient world of Aboa Vetus & Ars Nova, and shop like a local with Galleria Joella. For ratings and tourist information, read our Turku trip planner . If you are flying in from Czech Republic, the closest major airport is Turku Airport. In June in Turku, expect temperatures between 20°C during the day and 9°C at night. Finish your sightseeing early on the 24th (Mon) to allow enough time to travel back home.